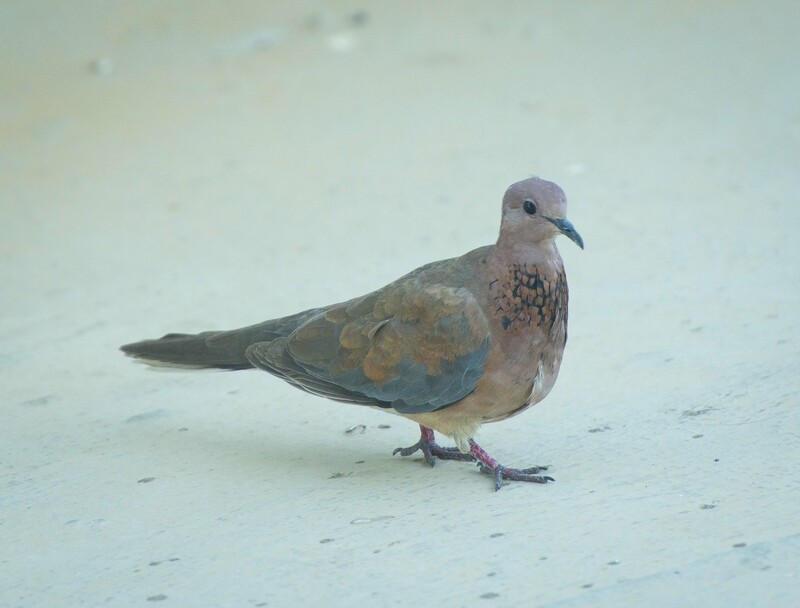 While far from a birding trip per se, I did manage to snap a few photos of some birds seen along the way. 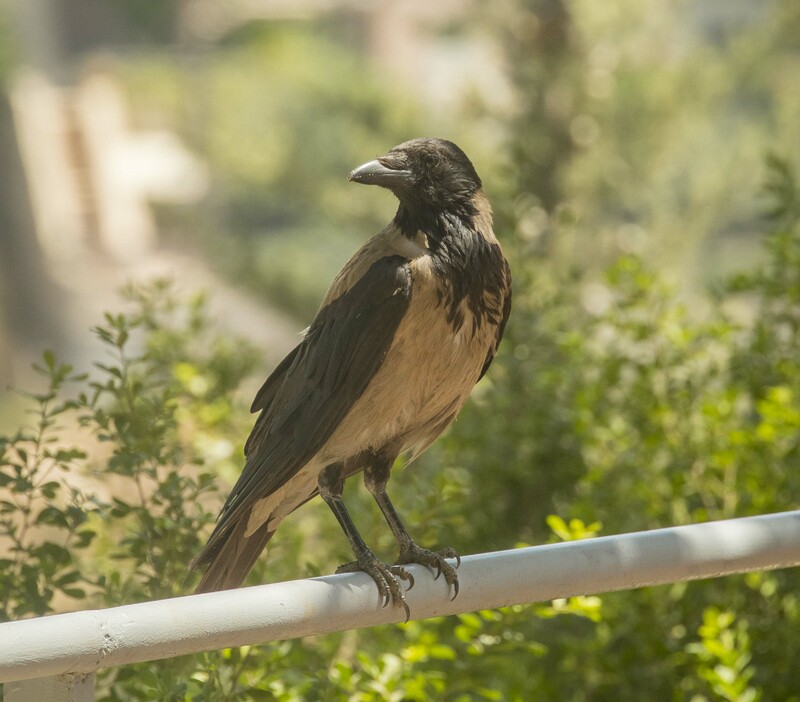 This handsome fellow with the glaring red eye was snapped on the shores of the Sea of Galilee. 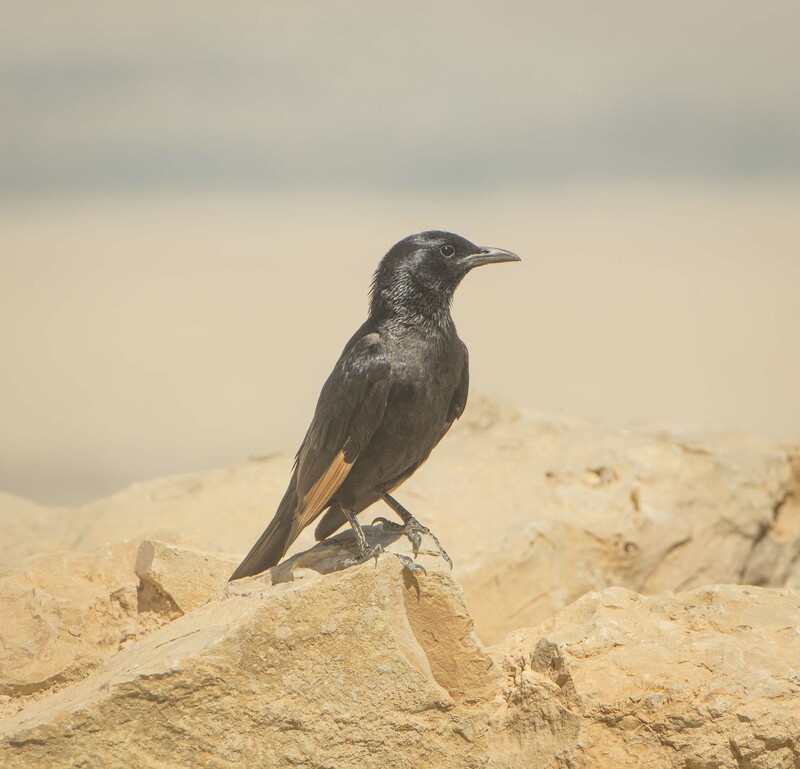 A specialty of the desert area around the ancient hill fort of Masada. 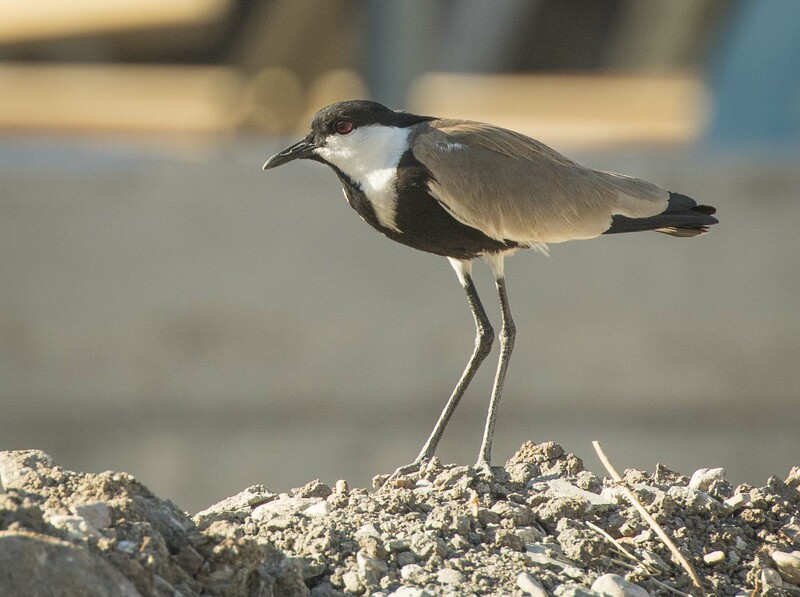 This species can be seen just about everywhere in Israel. 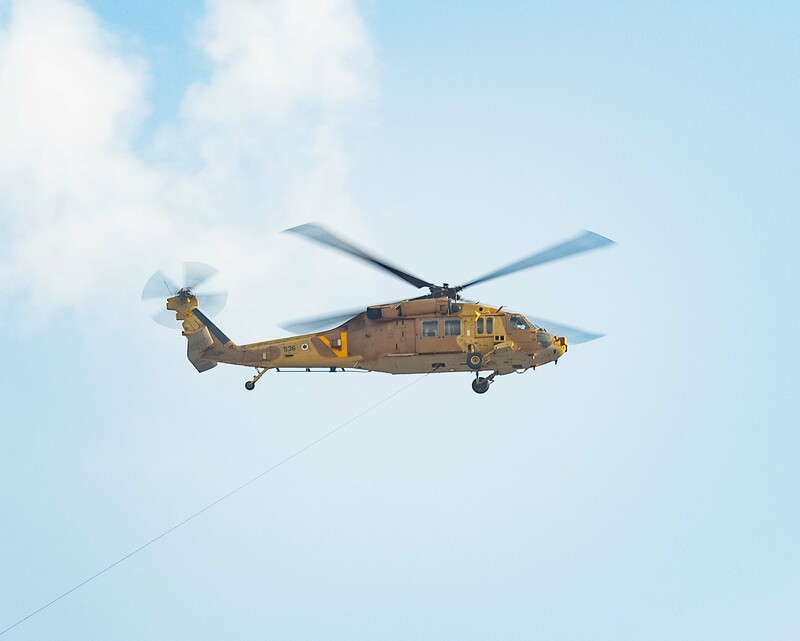 As part of the airshow, the Israeli Air Force put on an impressive demonstration of a downed pilot rescue mission. 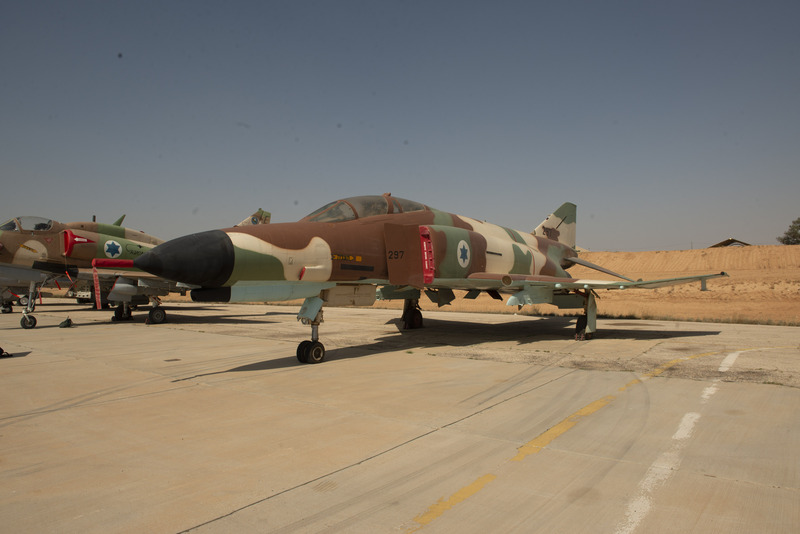 A firewall is placed between the downed pilot and the “unfriendlies”. 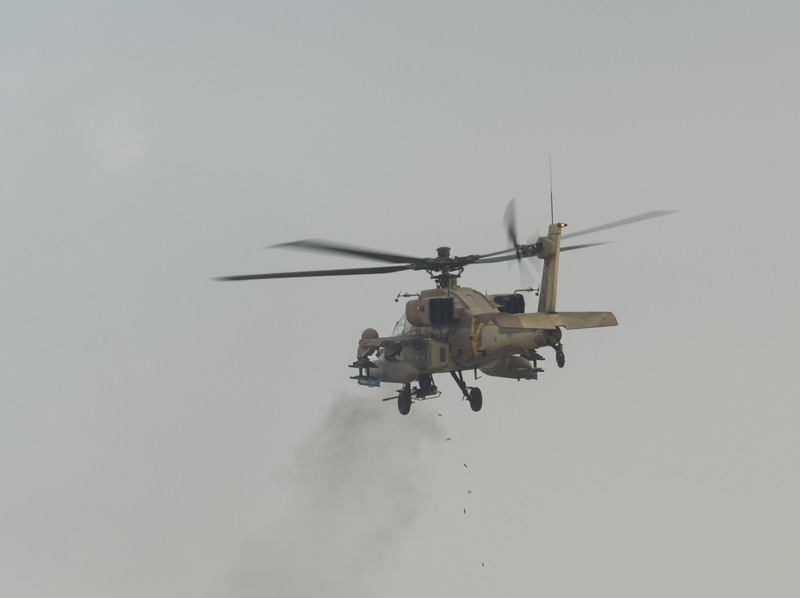 The attack helicopters provide covering fire for the rescue operaton. 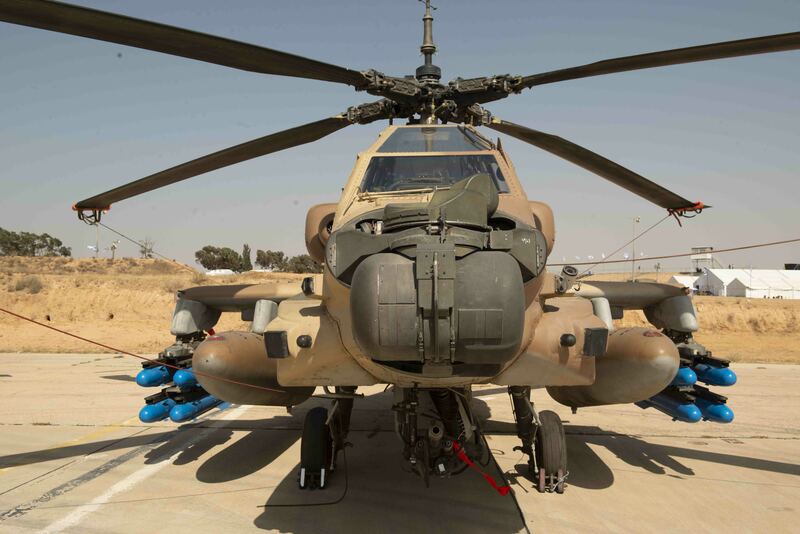 NB: Note the smoke and falling spent casings of the heavy machine gun. 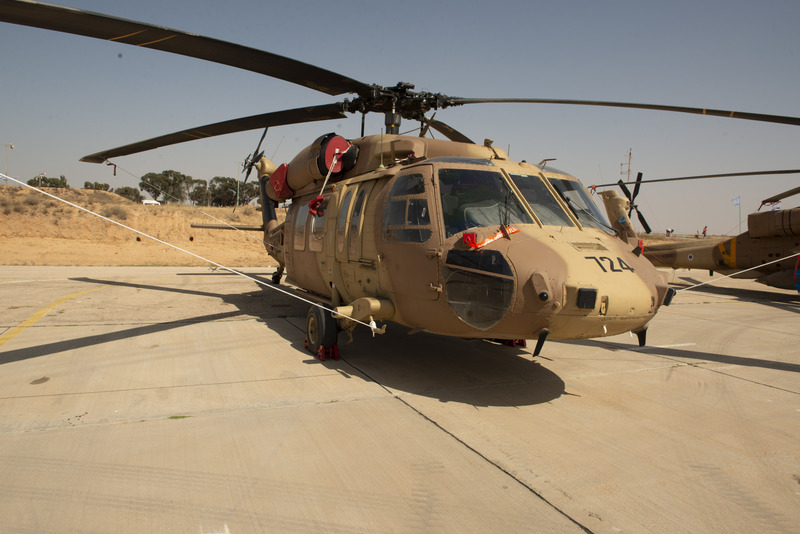 Finally, a Blackhawk helicopter complete with SWAT team swoops in to retrieve the downed pilot. 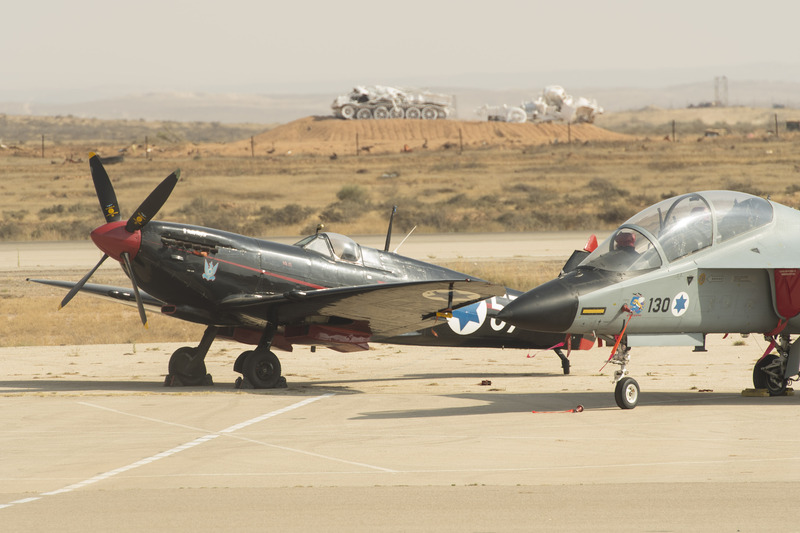 Prior to the air show we availed ourselves of the opportunity to peruse the impressive static display featuring both operational and historic aircraft. 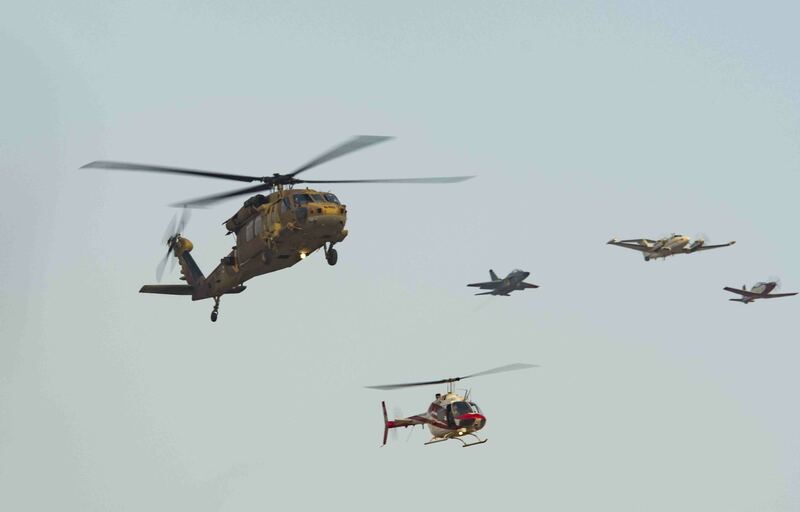 As part of the Air Force Graduation ceremony, the IDF put on a spectacular airshow for the visitors. 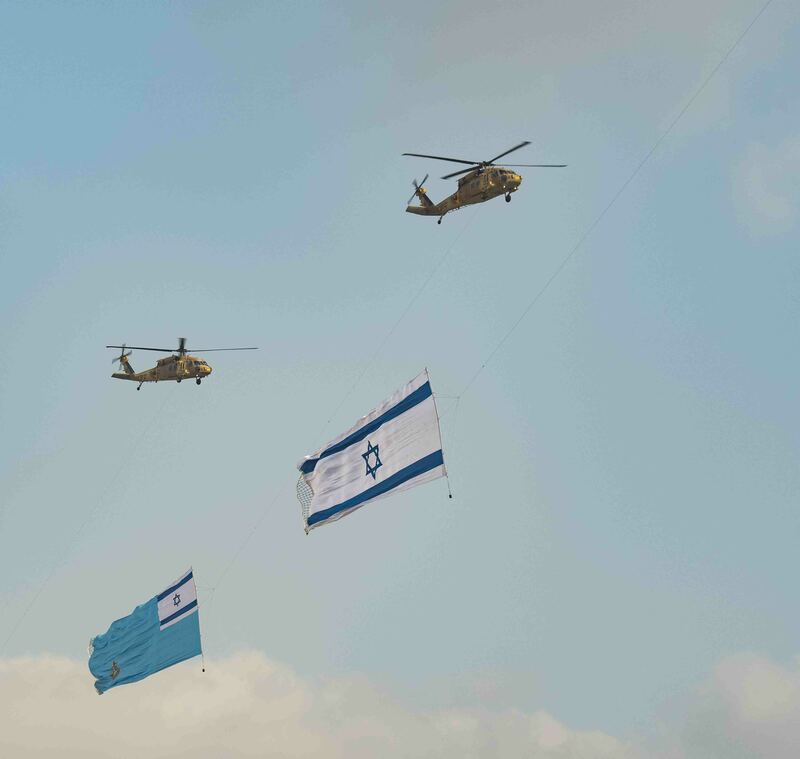 Blackhawk helicopters start the show with a flypast of the flag of Israel and the flag of the Israel Defence Forces. 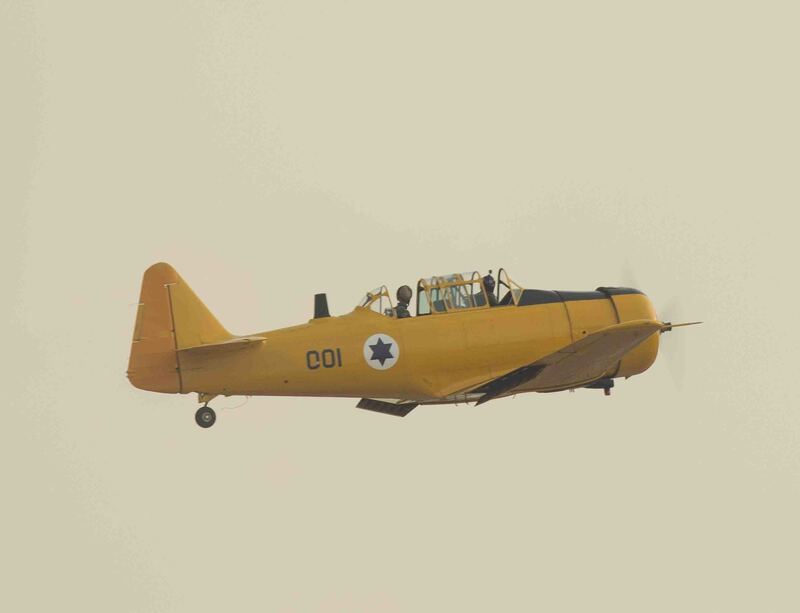 The Harvard was the standard fighter training aircraft for Allied Forces in WWII. 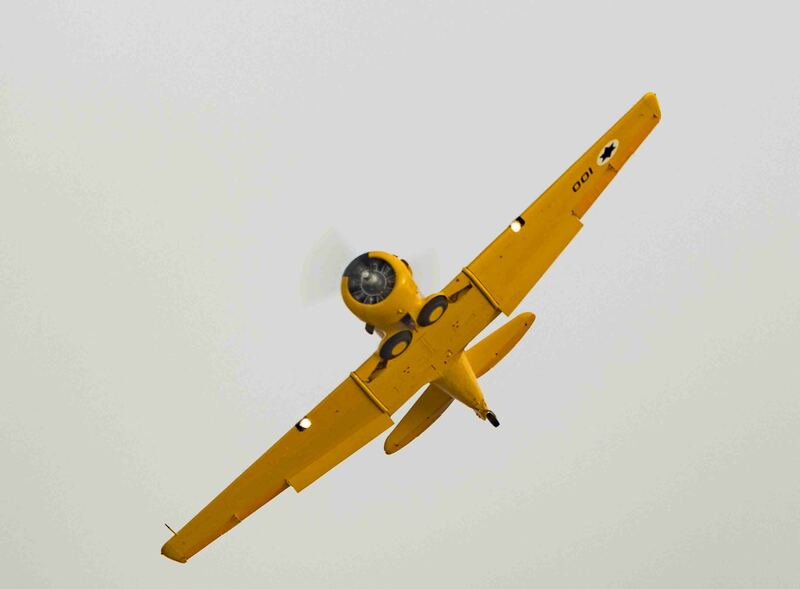 As a result of the British Commonwealth Air Training Plan in Canada, abandoned yellow Harvards could be seen on many a rural Canadian farm property in the decades immediately after the war. 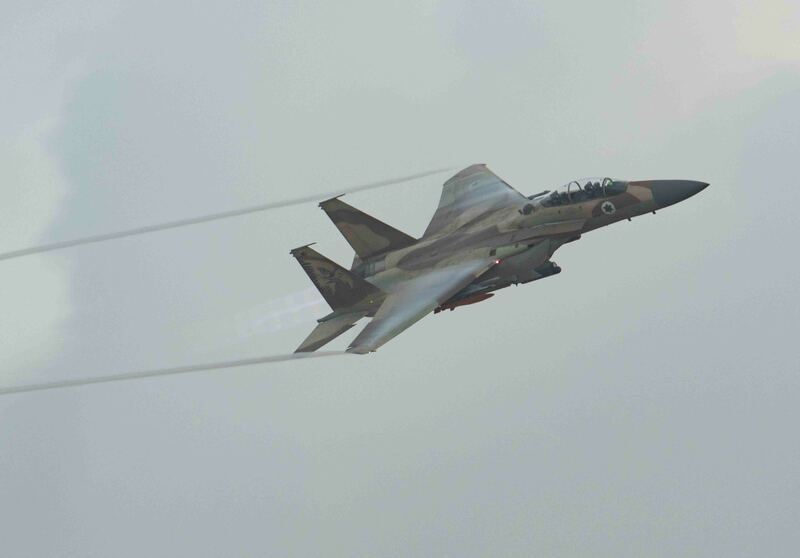 An F-15 roars into the sky. 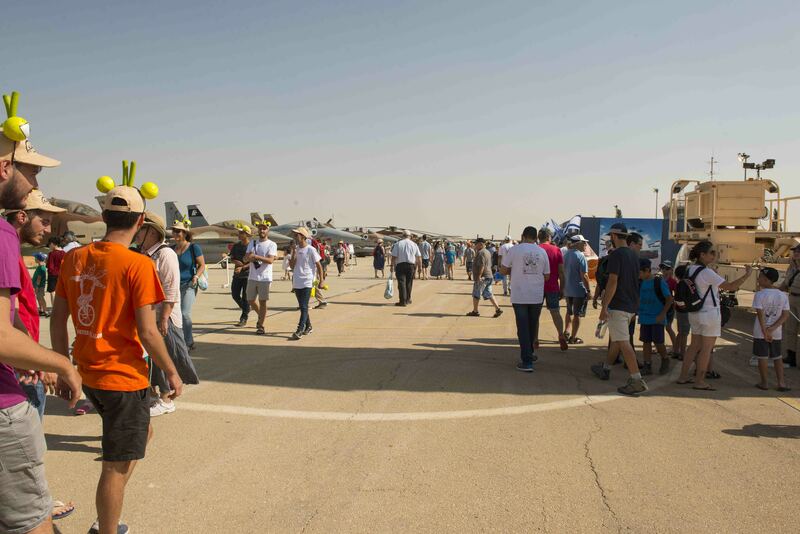 To the enthusiastic response of the audience an F-35 stealth fighter roars above the crowd in a grand finale. 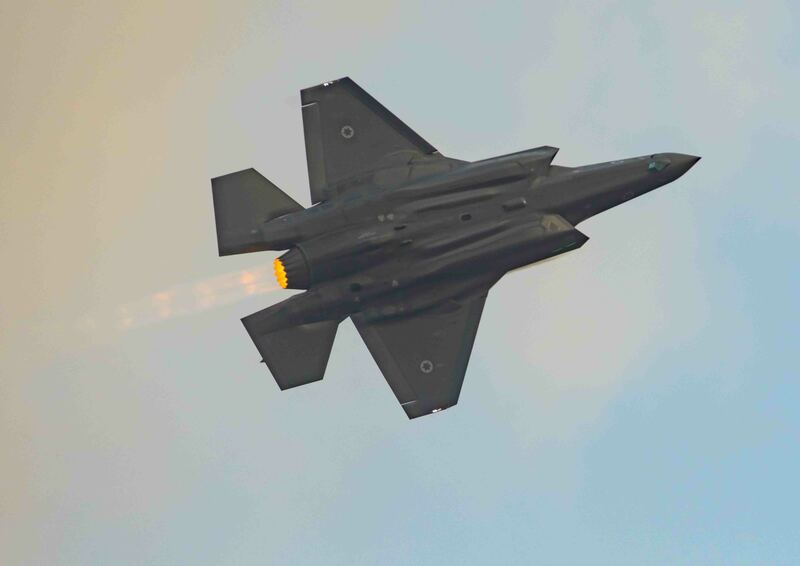 Israel claims to be the first nation to have flown the F-35 in anger. 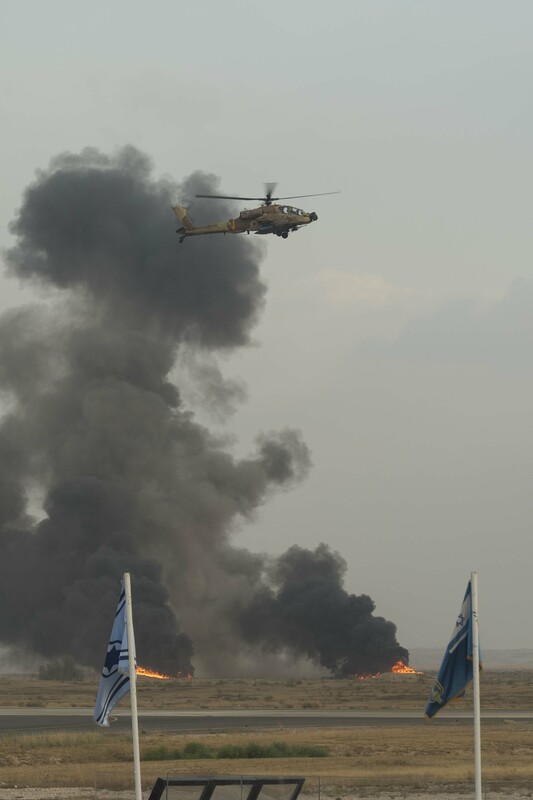 Most probably took part in the destruction of an Iranian weapons dump in south Lebanon a couple of weeks ago. 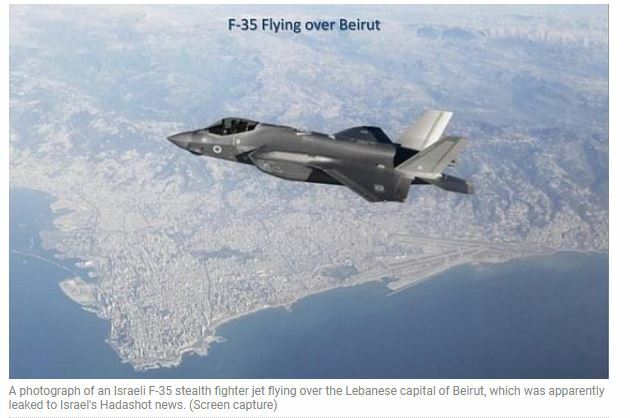 The Times of Israel published the following image of an F-35 flying with complete indifference and impunity over Beirut a couple of days ago. 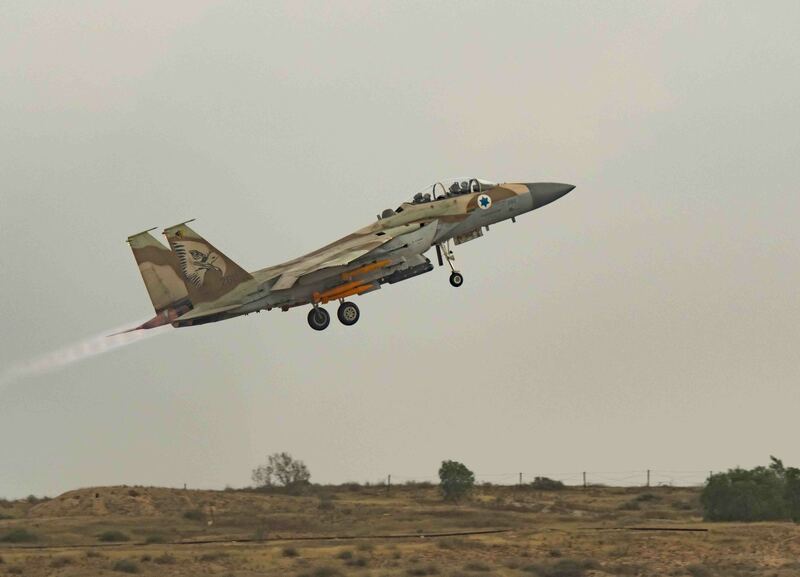 A Russian Sukhoi jet from Syria flew into Israeli airspace over the Golan Heights today and was shot down by a Patriot missile. 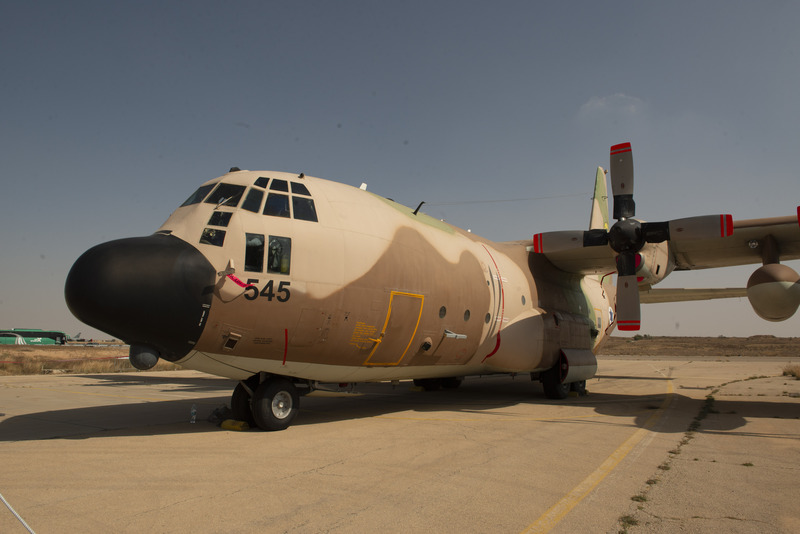 One of the highlights of my trip was the visit to the Israel Air Force Centre for the graduation ceremony for new pilots of the Israeli Defence Forces (IDF) on the 70th anniversary of the Israeli Air Force. 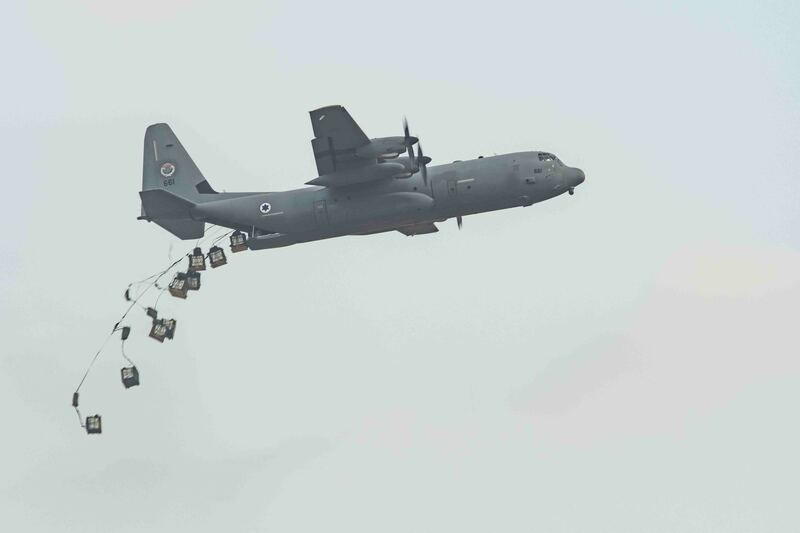 In a country of compulsory National Service, this is a day of national celebration and televised throughout the nation. 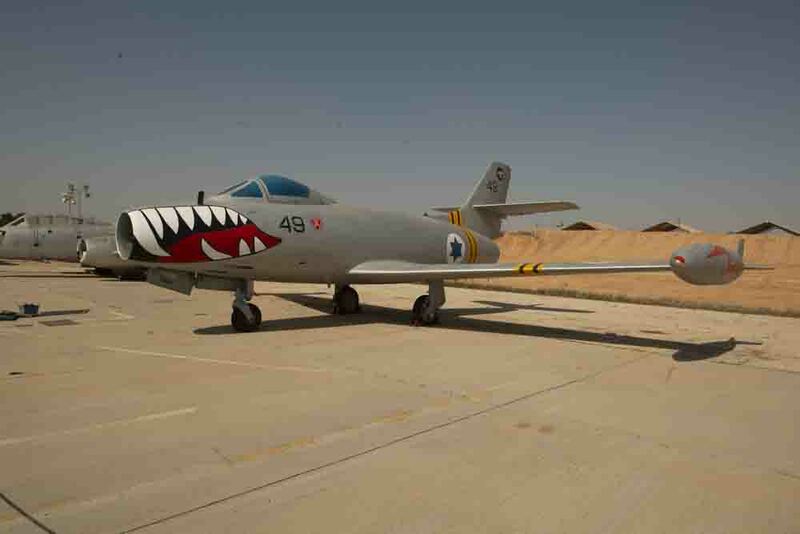 The Israel Air Force Centre is located in the Negev desert, near the biblical city of Beersheba. 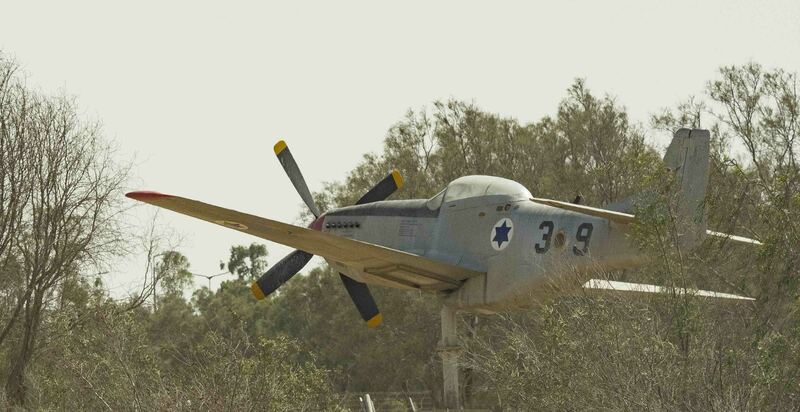 P-51 Mustang, one of the iconic aircraft of WWII, on permanent display at the Centre’s entrance. 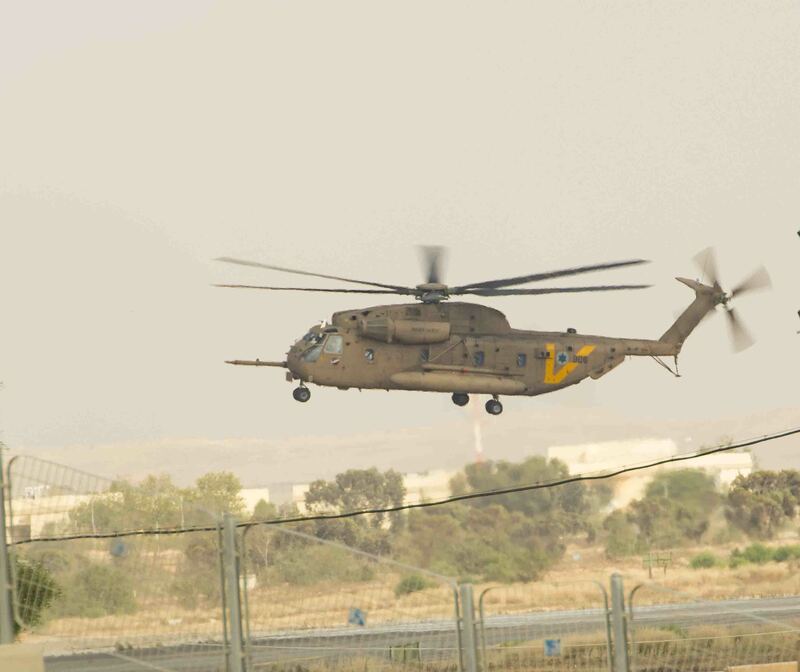 Prime Minister Bibi Netanyahu arrives from his offices in Jerusalem. 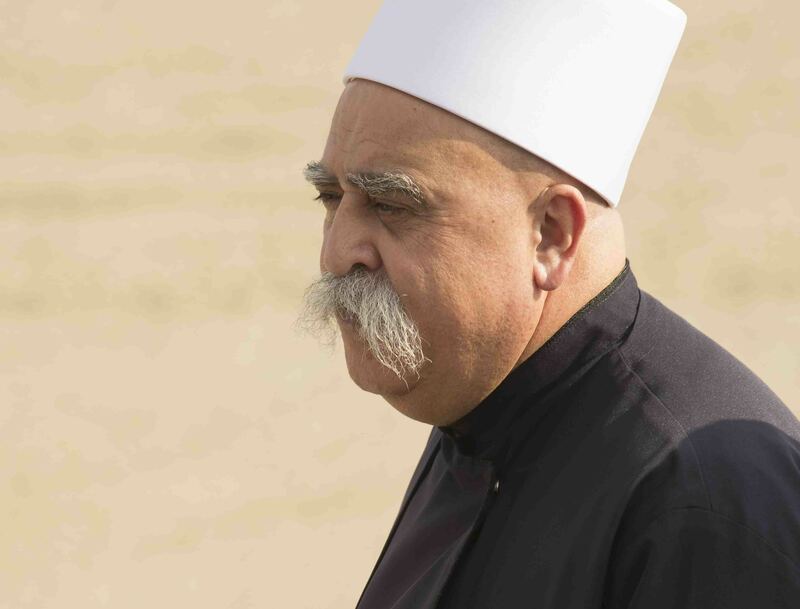 Although dwarfed by other, larger communities, the Druze community played an important role in shaping the history of the Levant, and continues to play a large political role there. 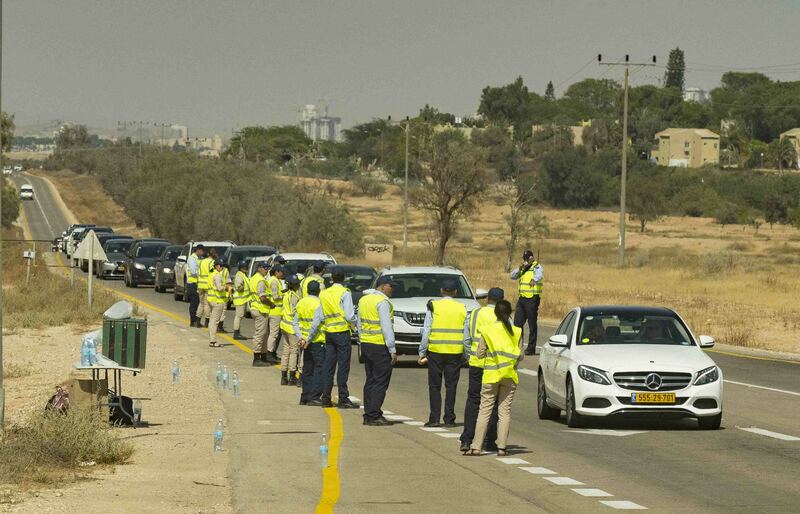 As a religious Arab minority in every country they live in, they have frequently experienced persecution, except in Lebanon and Israel where Druze judges, parliamentarians, diplomats, and doctors occupy the highest echelons of society. 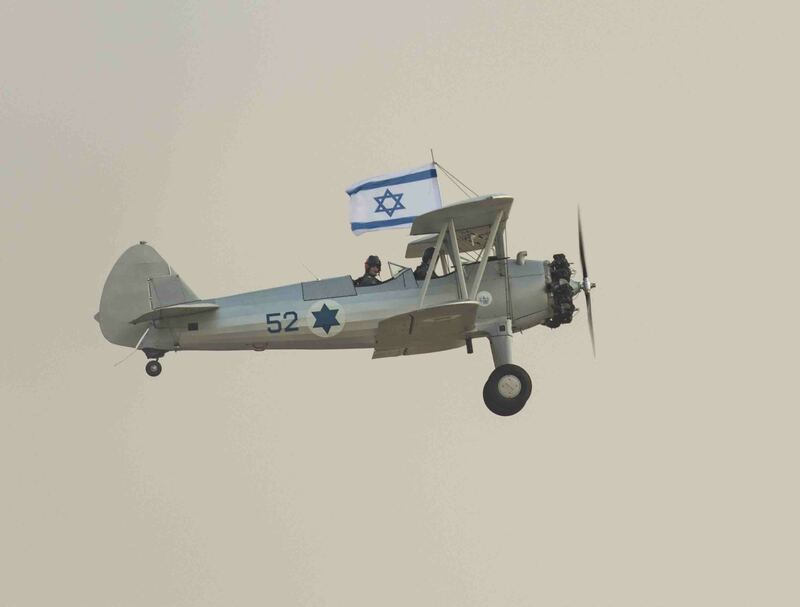 Male members of the Druze community, complete with their traditional over-sized mustaches, are here to witness the graduation of one of their own into the ranks of the Israeli Air Force. 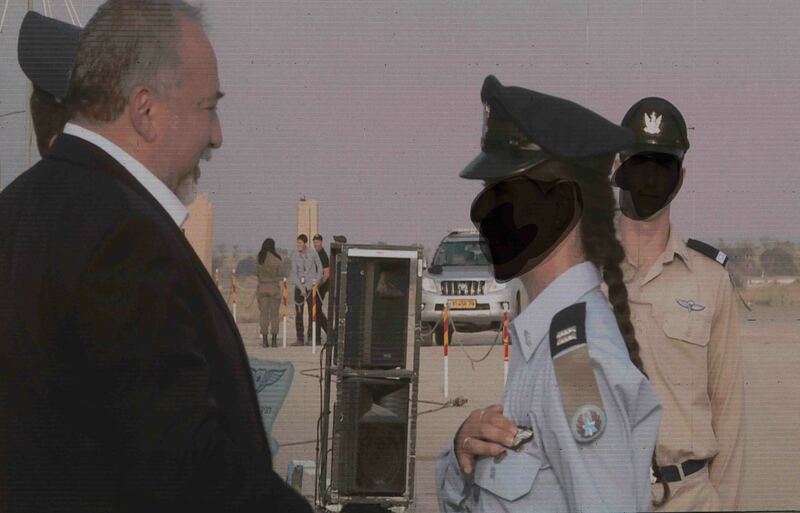 A young flight cadet graduates top of her class and receives her cherished wings directly from the Defence Minister. 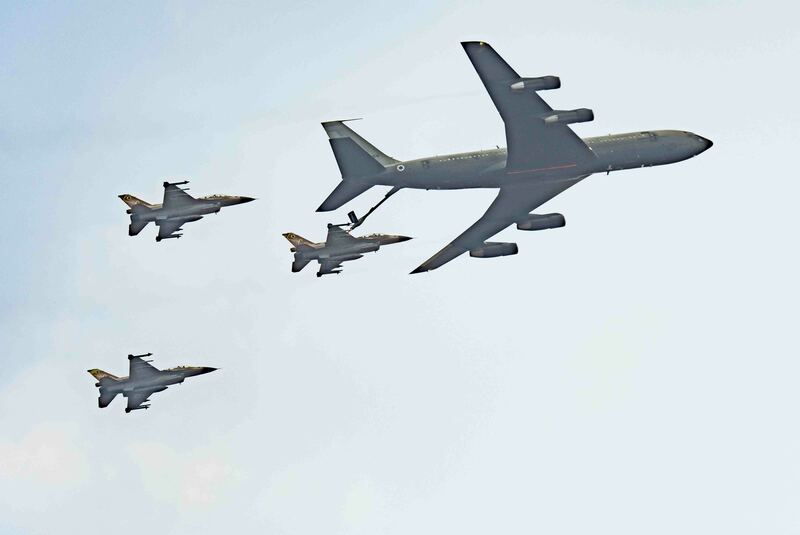 (Note: I have blacked out the faces of the pilots for reasons of security). 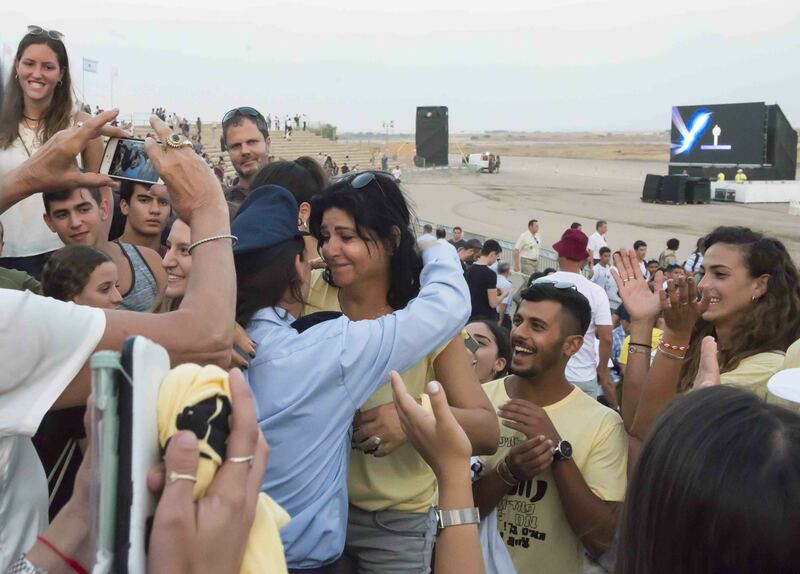 The audience of several thousand is made up largely of boisterous and enthusiastic family members who come prepared with signs and posters to cheer on their heroes as each is called forward individually to receive their wings. Above, a tearful family member, overcome by the moment, nearly collapses in a paroxysm of pride and emotion. 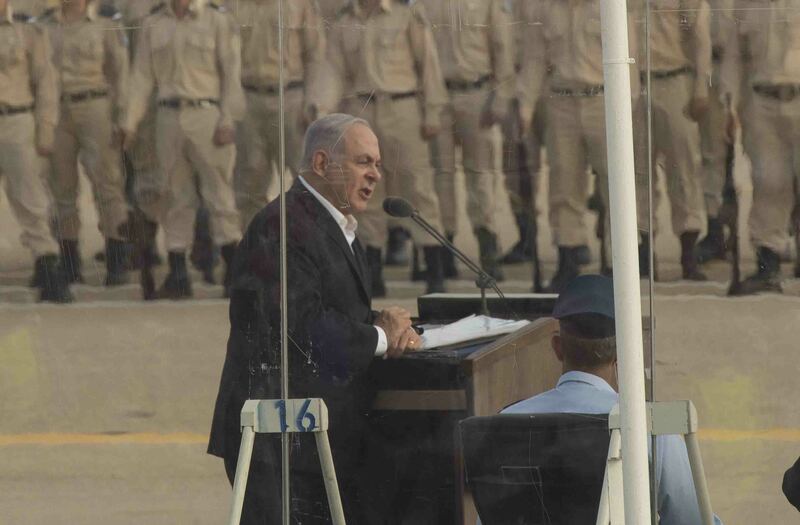 As Netanyahu said in his address” We’re not just pining wings on you today, but also on your families who have brought you to this point of your lives, the cream of Israeli society”. 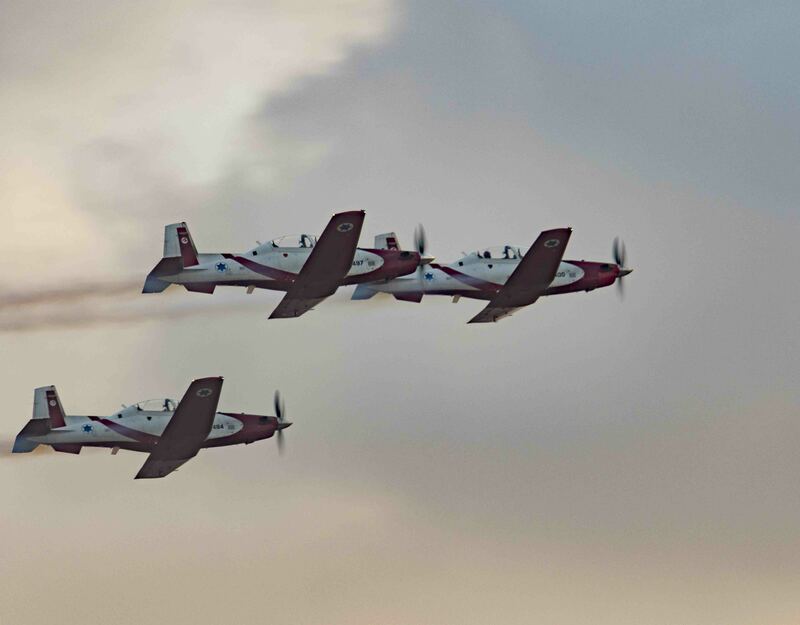 Former instructors give a final salute to their young charges in a crowd pleasing fly past of the aircraft types on which they have qualified. 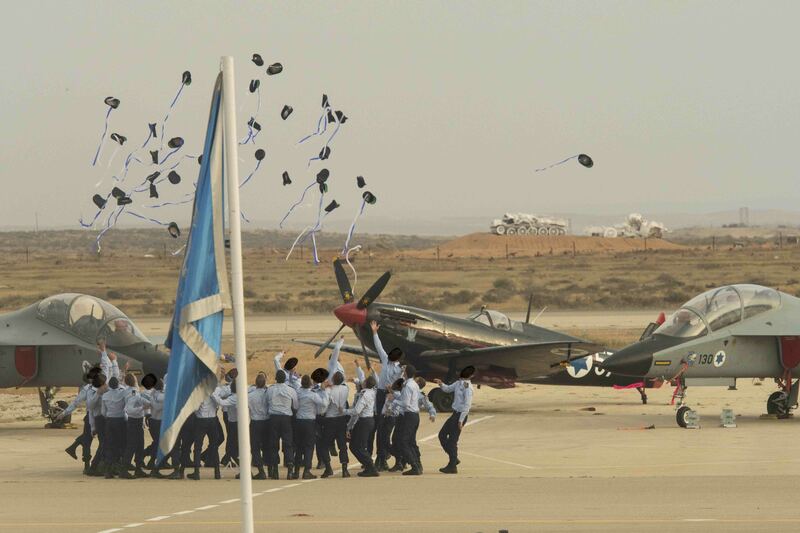 Official ceremonies over, the newly minted pilots race forward to participate in the traditional hat toss. 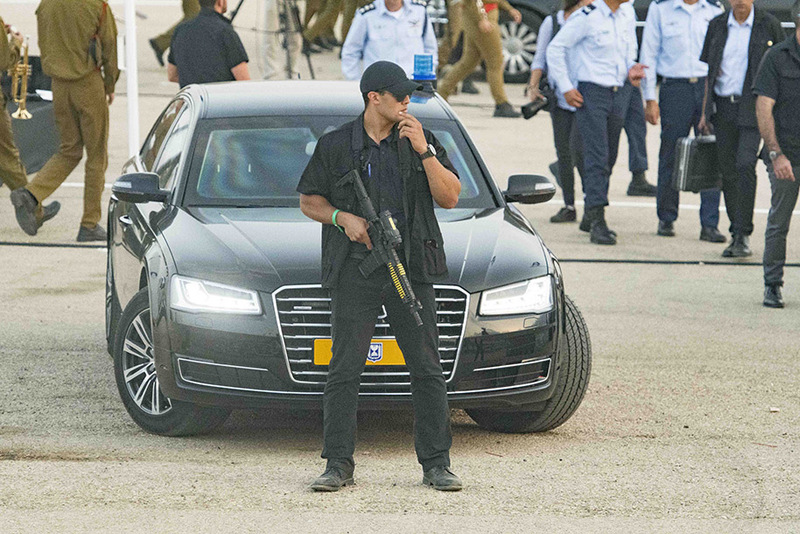 PM’s security detail waits patiently for departure as Bibi Netanyahu is mobbed by the new graduates for photo ops. Show is over and the graduates flock to the grandstand where they are almost literally swallowed up in the adulation of their adoring friends and families. 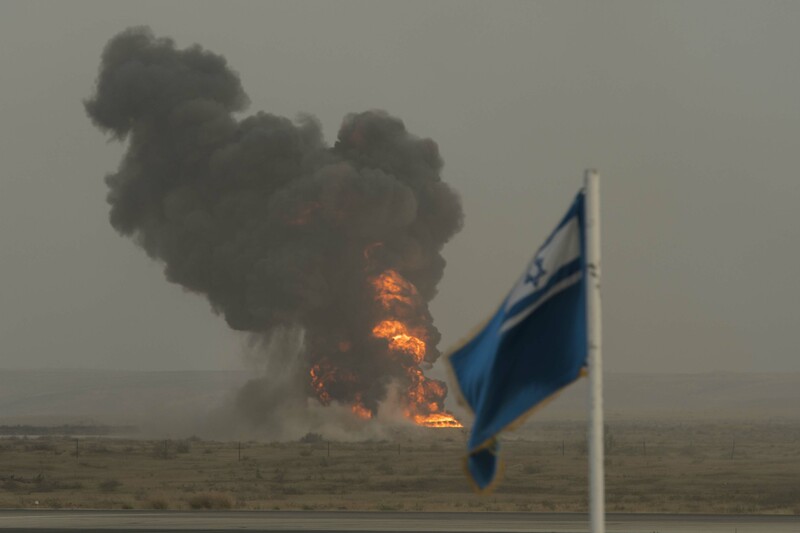 POSTSCRIPT: Our guide, a gnarly veteran of the 6 day war and fellow University of Toronto graduate, was in tears throughout this prestigious and moving ceremony. How he got us into this event remains a mystery but I remain eternally grateful for the opportunity and am left with heart felt thanks and gratitude. 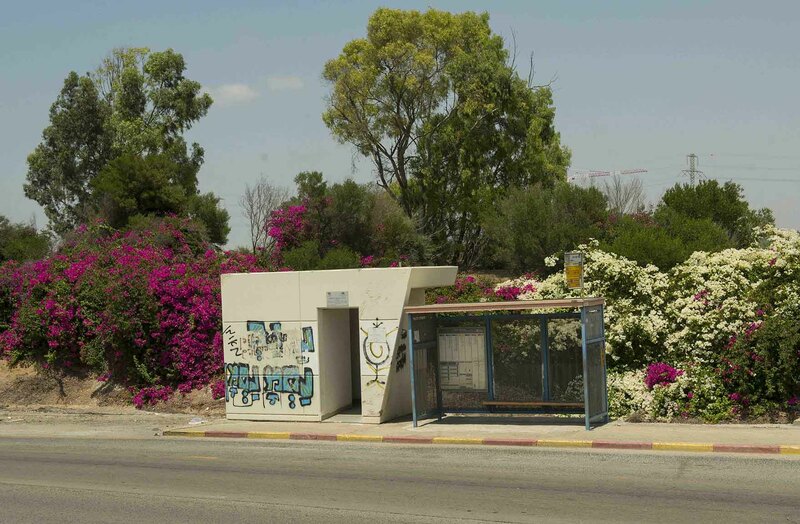 Welcome to Sderot, a western Negev city and former development town in the Southern District of Israel. In 2016 it had a population of 24,016. 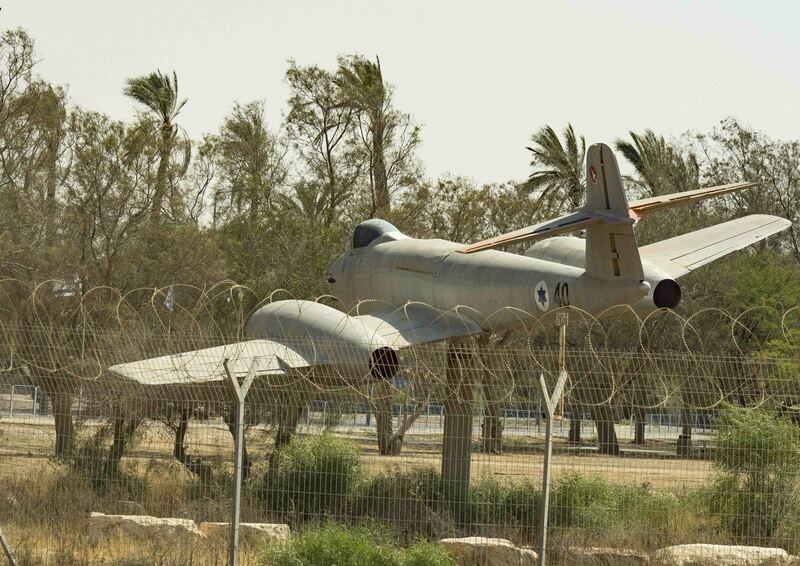 The city centre of Sderot is about 2 kilometres from the Gaza border. 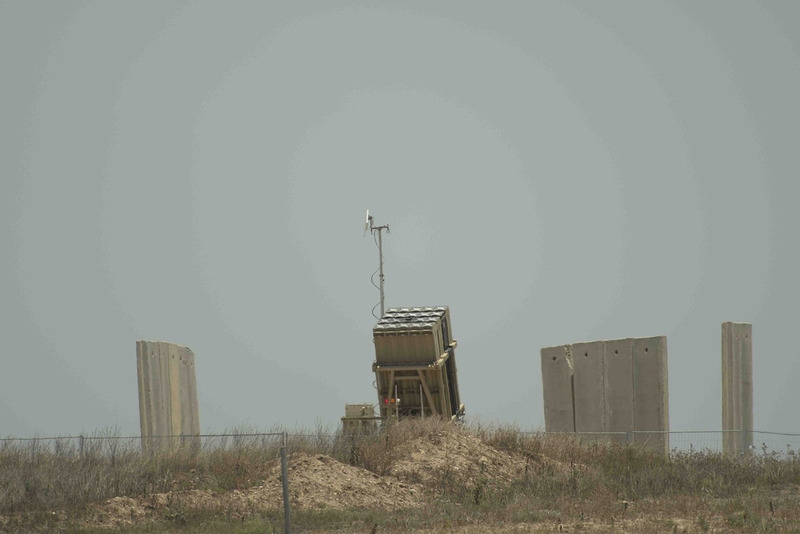 Residents of Sderot live under a 15 second warning of the threat of incoming Katyusha rockets which have landed by the hundreds over the last several weeks. 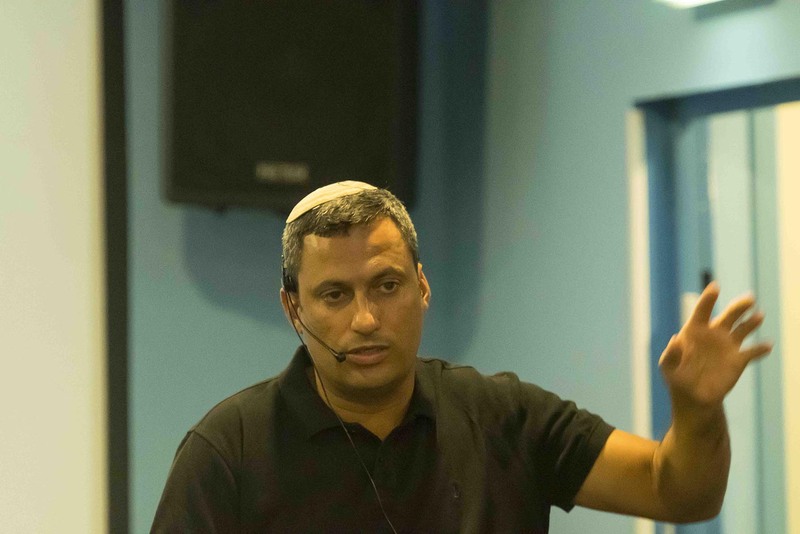 A somewhat bemused and quizzical Alon Davidi, mayor of Sderot, wondered what our group was doing in what he described as a war zone but was nevertheless grateful for the support. 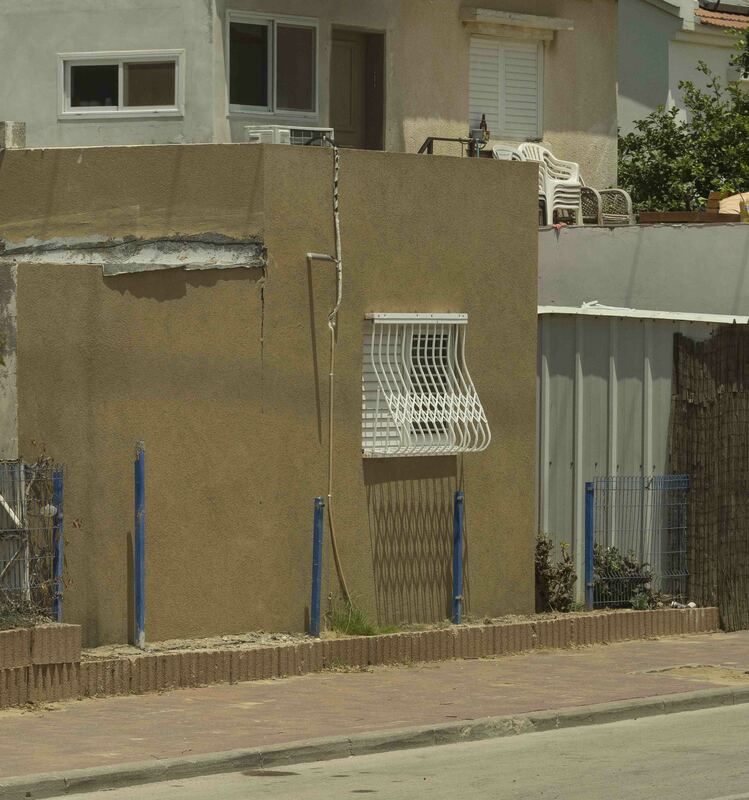 Each house or apartment in Sderot is required by law to have a hardened shelter. 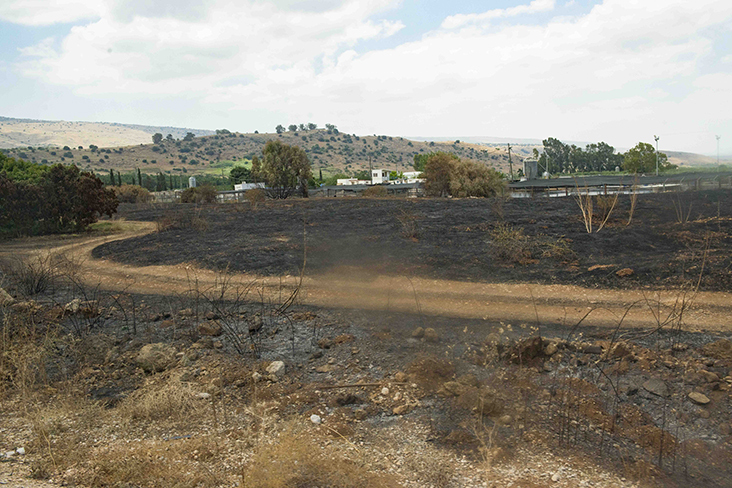 Incendiary balloons and fire kites have been launched from Gaza to set thousands of acres of Israeli crops alight. 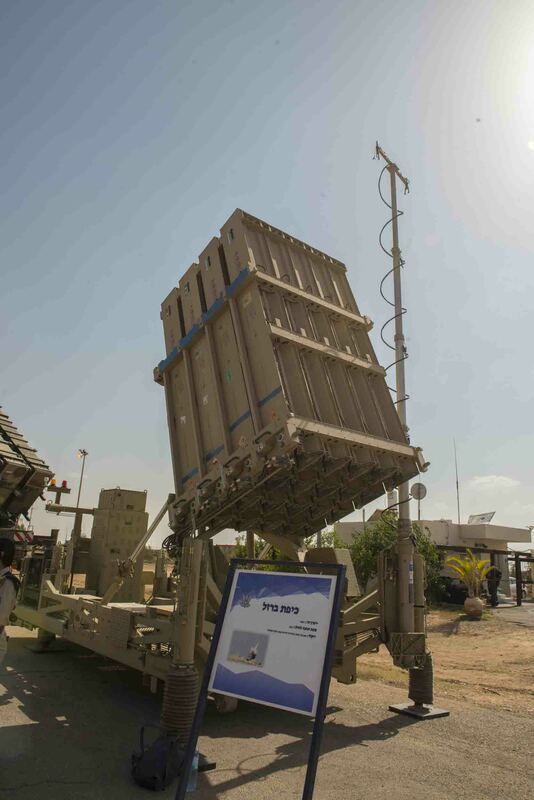 Business end of the Iron Dome system. 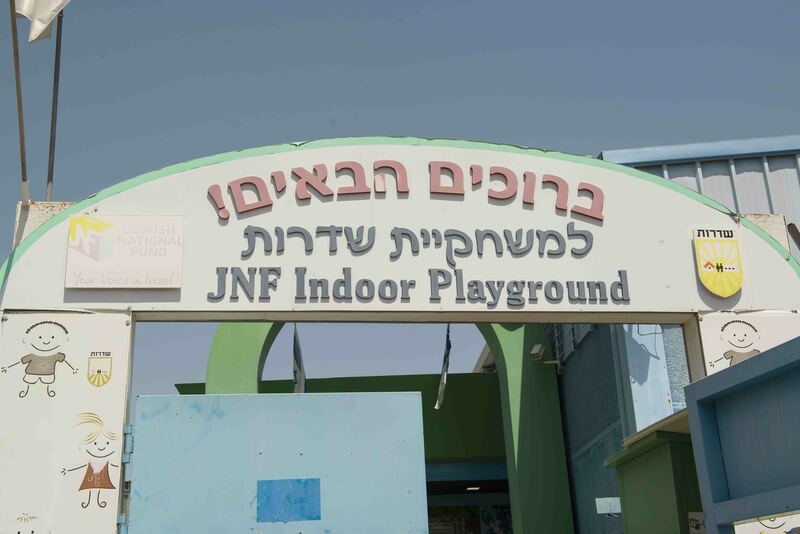 The playground was funded by the Jewish National Fund. 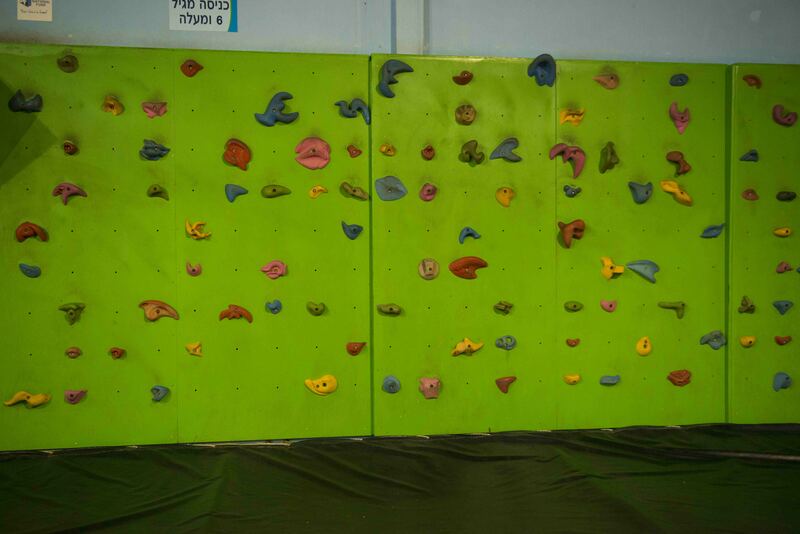 The climbing wall inside the JNF playground is of limited height so that a child at the top can make it down and into a shelter in less than 15 seconds. 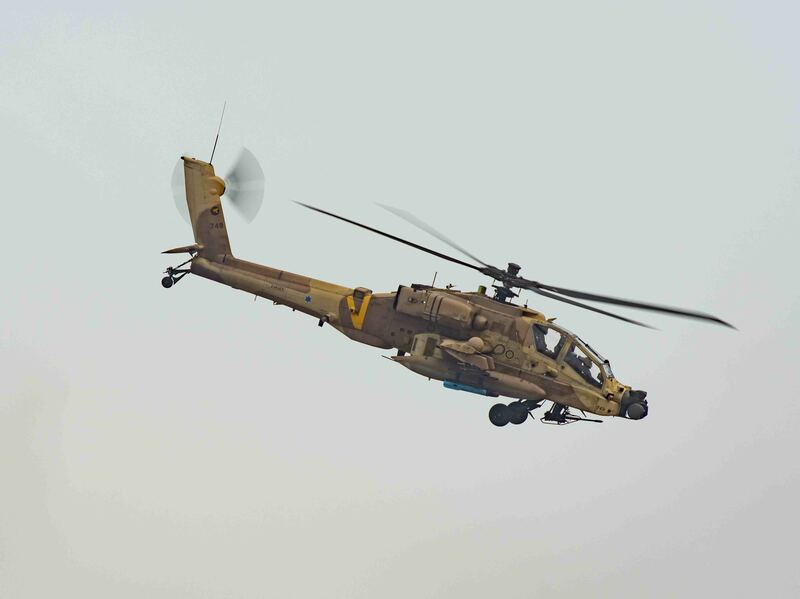 POSTSCRIPT: Since our visit, an Israeli soldier has been assassinated by a Gaza sniper and the IDF have carried out reprisal raids on Hamas targets in the Strip. Photography with the museum is forbidden so I concentrated on the open air exhibits. 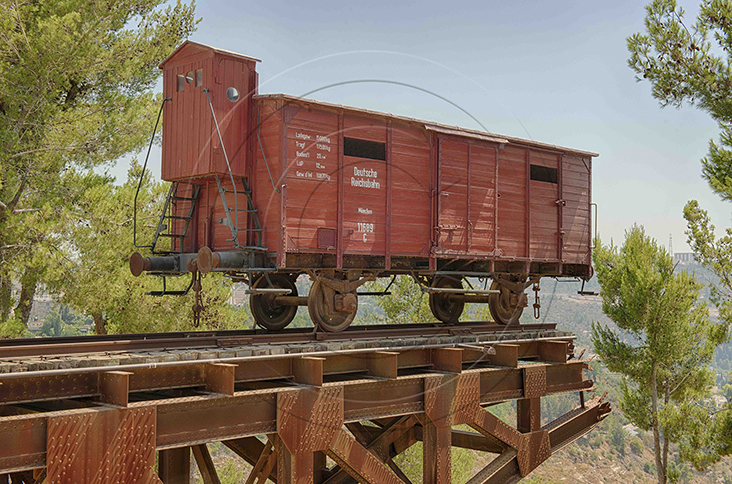 What caught my attention the most was the iconic “Cattle Car” railway wagon perched precipitously at the very end of the line. A symbolic and emotional moment. 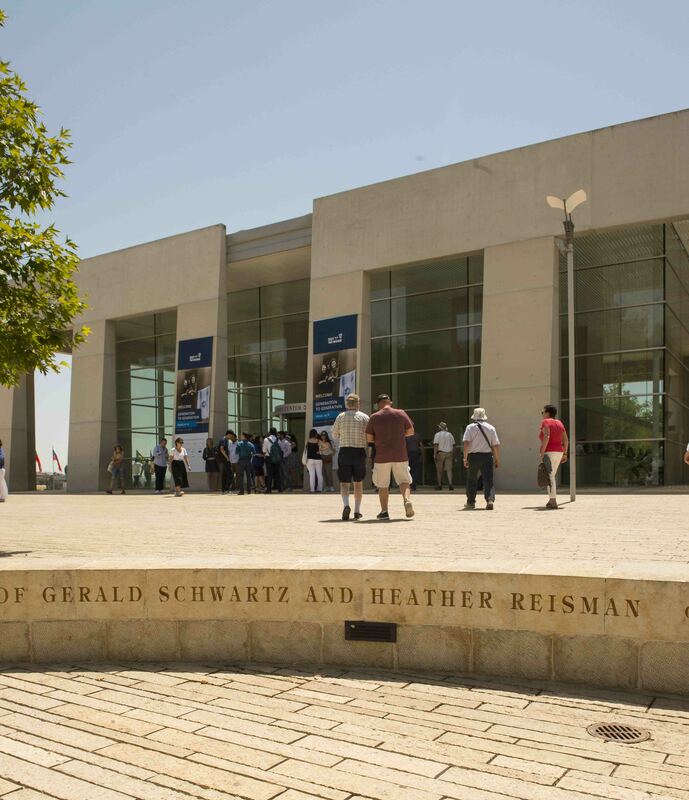 The entire world class museum was made possible through the generous support of Canadians Gerry Schwartz and Heather Reisman. 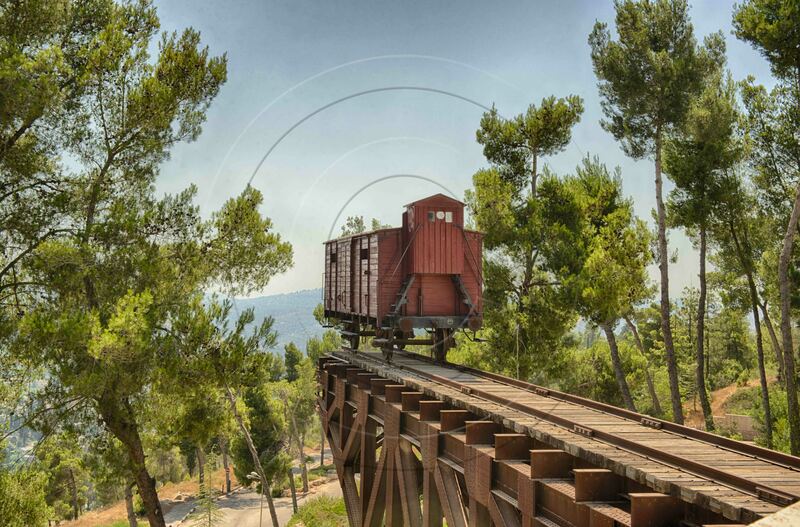 A must see if you’re visiting Jerusalem. 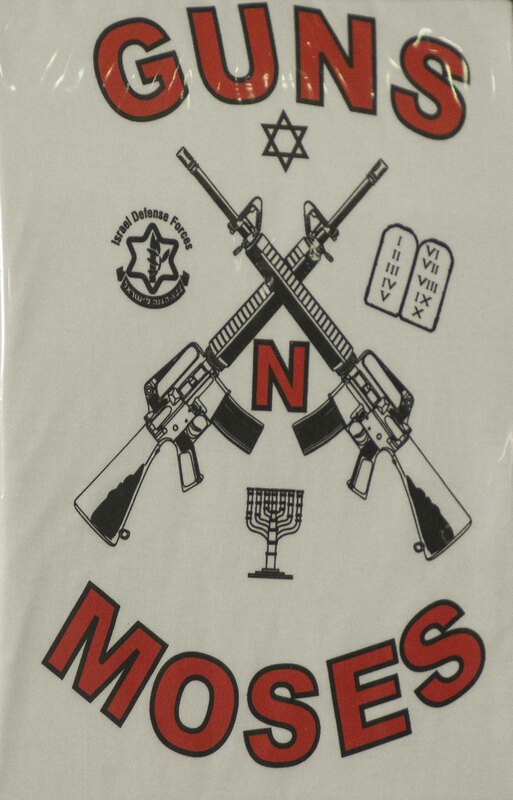 GUNS N MOSES …….. or my fabulous trip to Israel!! 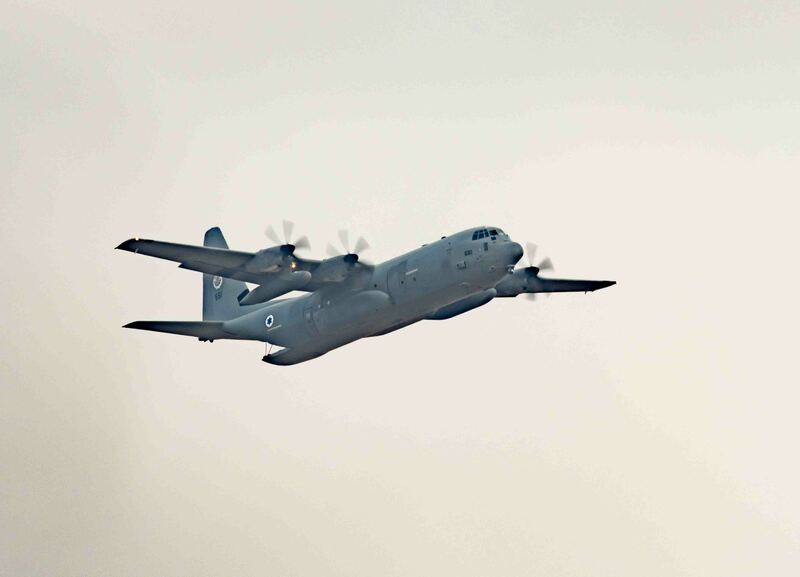 More photos to follow in the days to come. 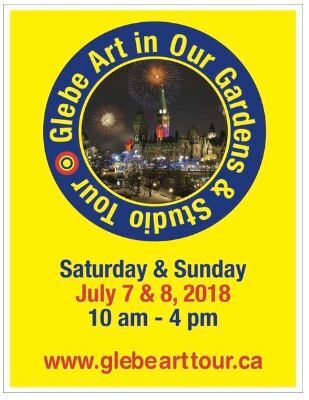 Many thanks to all the visitors that I received in my garden on the weekend as part of the Glebe Art in our Gardens Tour. Happy to report that a couple of my panel images have found delightful new owners. Many thanks to Martha Bowers and all the other tour organizers. 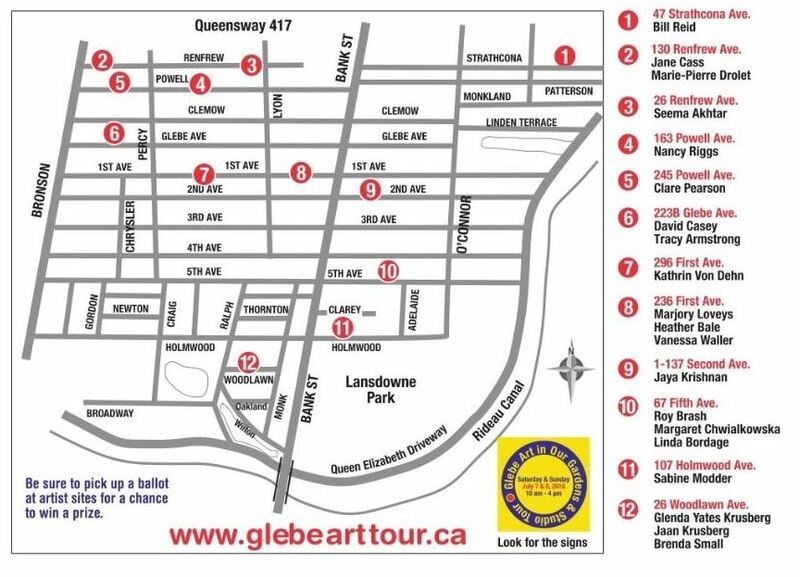 I will be participating in this year’s Glebe Art Tour, July 7 & 8, 10 am – 4 pm. I am flattered that one of the promotional brochures features my “Fireworks over Parliameant Hill” as an inset (see above). I’m also pleased to be “numero uno” on the tour map. Mark the date down in your calendars. I’ll be displaying artwork on metals, canvas and paper as well as a number of photobooks of regional interest. All great gift ideas. Looking forward to seeing you in my garden. More information on the tour in general is available here. 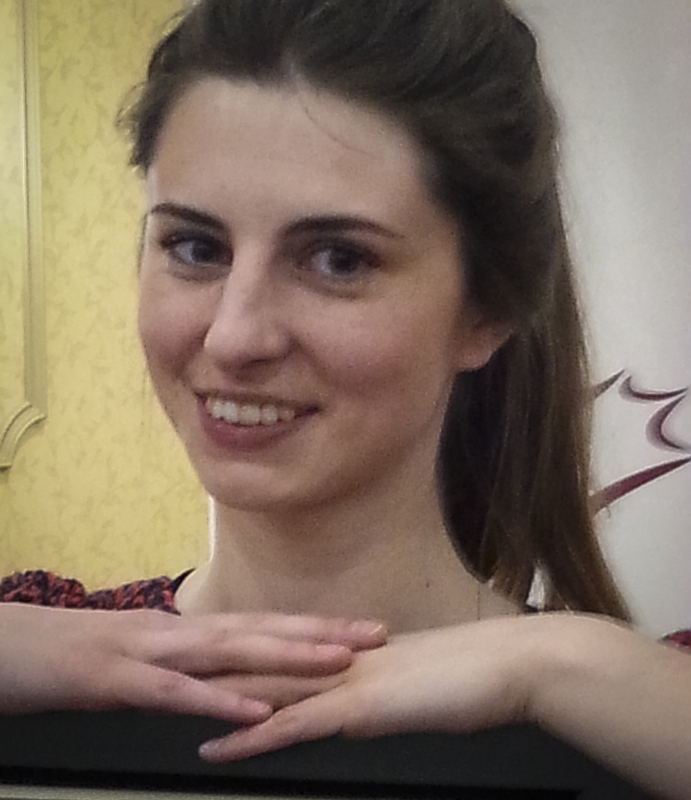 I recently attended the presentation of an award to Lindsay Shepherd by the Peace, Order and Good Government (POGG) Society of Ottawa. 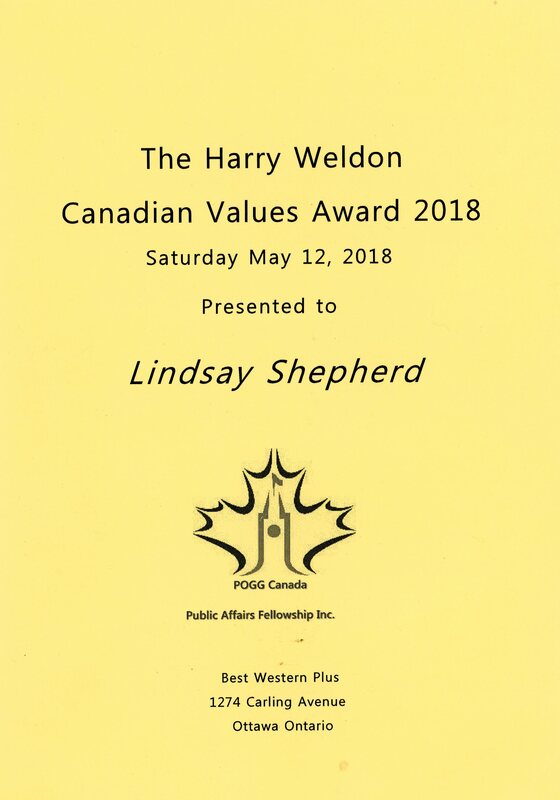 Lindsay was subjected to a star chamber trial by the diversity and inclusion thugs at Wilfrid Laurier University for the sin of rebroadcasting a TVO Agenda program featuring Dr. Jordan Peterson, the world’s best selling author. Unfortunately for them, Lindsay secretly taped the entire shameful process and exposed her tormentor’s to world oppobrium. You go girl! !